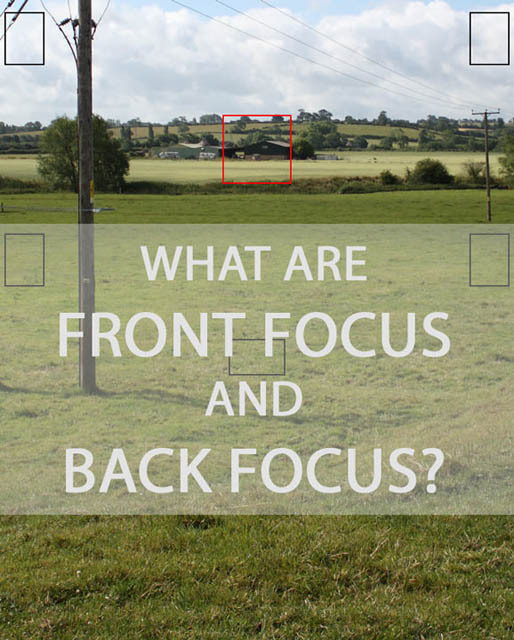 What are Front Focus and Back Focus? 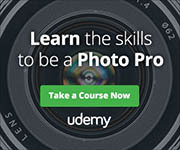 Something that you may come across when browsing photography forums, or reading camera or lens reviews, is the mention of the camera or lens 'Front focusing' or 'Back focusing'. This means that the camera / lens focuses in front or behind of the subject, rather than where it should have focused. Obviously not a desirable trait. (Back focusing can also sometimes refer to using a button on the back of the camera to autofocus, rather than using a half-press of the shutter button. But it should be pretty obvious from the context when the term 'back focus' is used in this way). In this article we'll look at what causes back and front focusing, how to check if your camera / lens suffers from it, and what you can do about it if it does. What causes back or front focusing? Back focus and front focus only tends to be a problem with (D)SLR and SLT cameras. This is because of the way they are set up for autofocus. They have an autofocus sensor that is separate to the main image sensor. Light enters the camera, hits the mirror, and then a portion of it bounces down (or up) to the autofocus sensor, which is then used to autofocus the lens. The Mirror could be positioned incorrectly. If the mirror is positioned so that light has to travel a longer or shorter distance to get to the AF sensor than it does to get to the image sensor, (and the AF sensor is not calibrated for this difference) then this can cause focus issues. The lens may focus at a slightly longer or shorter distance than what the camera is expecting. Example of the way light travels to the autofocus sensor in a DSLR camera. The main mirror is semi-silvered so some light passes through it. Cameras that do not use a separate autofocus sensor (i.e. 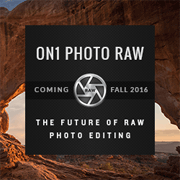 virtually all cameras other than DSLRs and SLTs) do not suffer from any of these issues. They do the focusing on the image sensor, and so can be sure that the focus is correct. Example of the way light travels to the image sensor, which is also used for autofocus, in a Compact System Camera. Although cameras and lenses are built to relatively tight tolerances, there are still going to be slight differences between each unit. If you have a camera that front focuses ever so slightly, but within the manufacturer's tolerances, then you're unlikely to notice it. But what happens if you now buy a lens that also front focuses ever so slightly, again within the manufacturer's tolerances? The front focusing of the lens and camera combined will now be enough to be noticeable, and so you'll see the issue. And of course, sometimes lenses and cameras slip through quality control when they have focusing issues that are beyond the manufacturer's set tolerances. 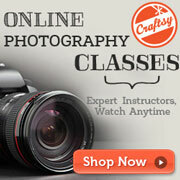 If your camera or lens has a bad front focus problem, you'll see it easily. The area in front of where you focused will appear sharper than the area where you actually focused. Similarly, for a bad back focusing issue you'd see that the area behind where you focused was sharper than where you actually focused. For more subtle issues, you can set up a test. Position a meter rule at a 45° angle. Positioned next to the center of the ruler place something with high contrast (e.g. a page of text). Set your camera to use use single shot autofocus, with the center point only selected. 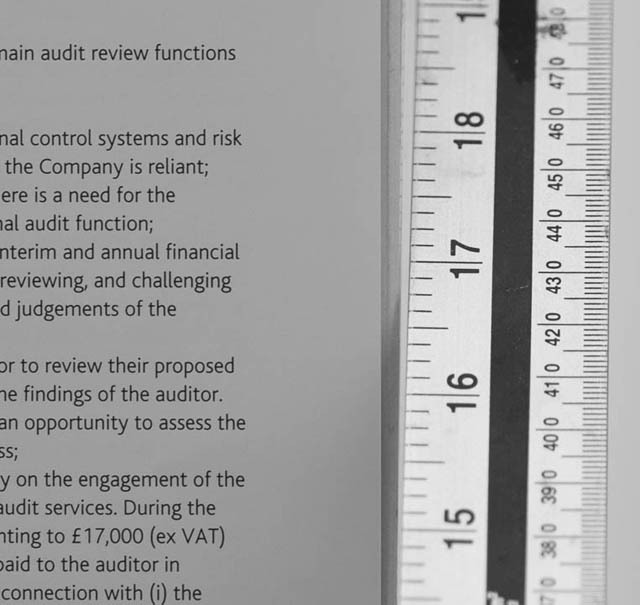 Position your camera so that the central autofocus point is positioned on the text, but near to the ruler. The camera should be parallel to the page of text. It is best to have your camera on a tripod for this. 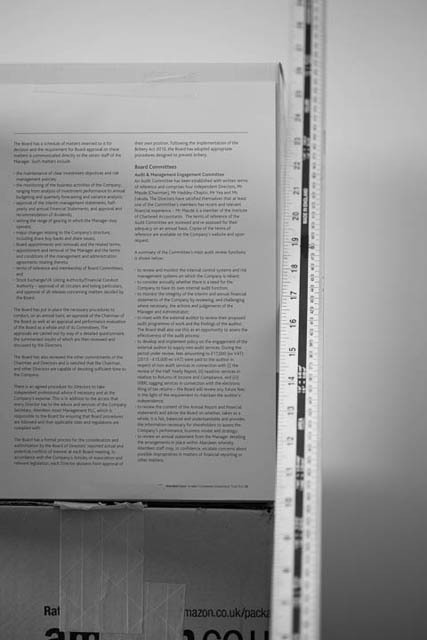 Take a photo and then examine the ruler - is it sharpest where it crosses the page of text, or is it sharper behind or in front? 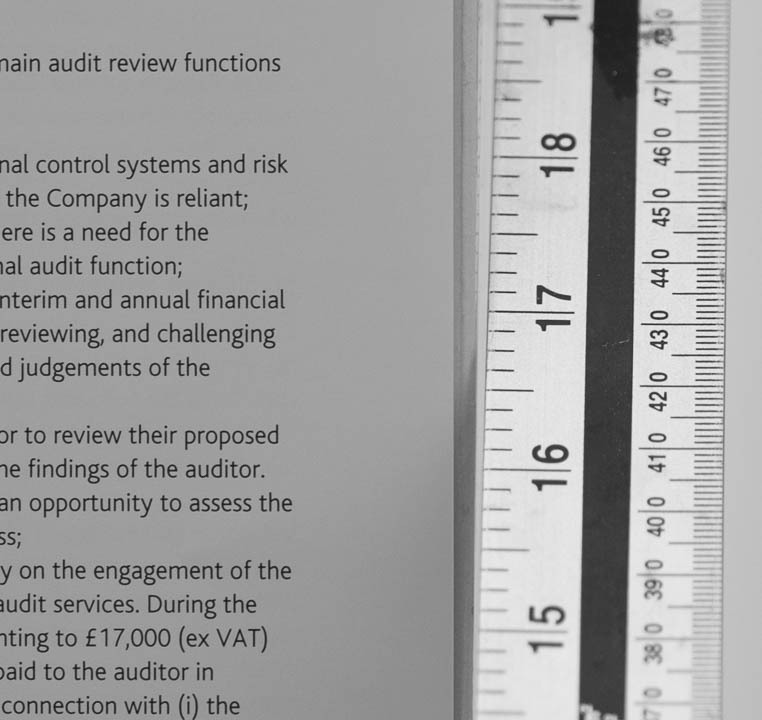 (You'll need to check your setup to see at what measurement marking the ruler crosses the page of text. This is where it should be sharpest if there is no front or back focus.) Repeat this test several times to be sure, purposefully defocusing your lens between each try. Crop of the prior image. The angled ruler provides a guide to help you see whether the lens / camera suffers from front or back focus, and how badly. You can also buy specialist tools that will give you a much more accurate result for performing these tests, such as the SpyderLensCal and LensAlign. These tools are particularly helpful when it comes to fixing any back or front focus issues you find. The most common method of fixing front or back focusing is to use a facility built into most modern DSLR / SLT cameras called AF fine tune or autofocus micro-adjust. This allows you to apply positive or negative focus compensation, so the camera will focus the lens slightly closer or slightly further than it would normally, thus compensating for the problem. Since the amount and direction of focus compensation can vary between lenses, most cameras allow saving the adjustment on a per lens basis. This way you can calibrate all your lenses separately, and ensure that your camera will focus accurately with each one. It does take some time to initially test and adjust all your lenses like this. 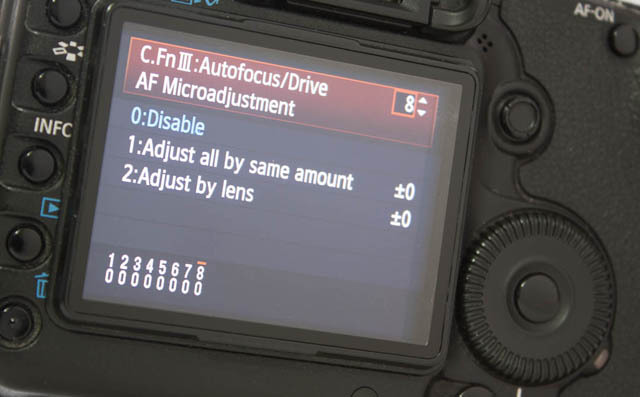 You'll need to test a lens, perform an AF fine tune / micro adjustment if necessary, then test again to see if you dialed in the correct amount of adjustment. But once it's all done, then you can be sure that your lenses will deliver the image sharpness they're capable of. If you're using the ruler test described earlier to calibrate your AF adjustment settings, then make sure you also check the sharpness of the text where the actual autofocus point was placed, not just the sharpness of the ruler. Some lenses suffer from field curvature, which means the field of focus is not flat. With a lens that suffers badly from this, and depending on how far away from the ruler the autofocus point was placed, you could find that where you focused is actually perfect, but the ruler could appear to show front or back focus due to the curved plane of focus. If your camera and lens(es) are both from the same manufacturer, then you can send them off to the manufacturer to have them calibrated together. If the lens / camera is not focusing properly, then this will be covered by the warranty. If out of warranty though, there will be a charge for this. 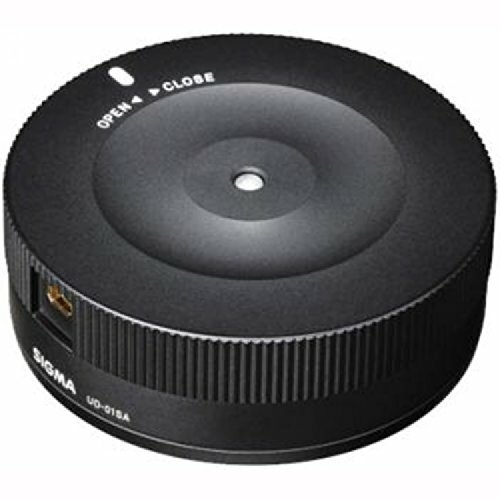 For owners of modern Sigma lenses, there is also another choice - a USB lens dock. This screws onto the camera mount end of the lens, and connects to your computer via USB. Using Sigma's software you can dial in focus correction. This solution is actually superior to adjusting in-camera as it will let you make different adjustments depending on the focus distance. So you can have one amount of correction for close-focusing, and a different amount of correction for focusing at medium and longer distances. Possibly other manufacturers may produce a similar device in the future? For some older DSLRs / SLTs that don't feature autofocus fine tune, you can manually adjust the position of the mirror or autofocus sensor. This won't be any use if you have a focusing problem with just one lens. But if the front / back focusing is a problem with the camera body itself, then this can fix it. However, it is very tricky to do, especially with the accuracy needed. The procedure varies between cameras, so you'll need to do a bit of searching if you have an older camera and want to give this method a try. 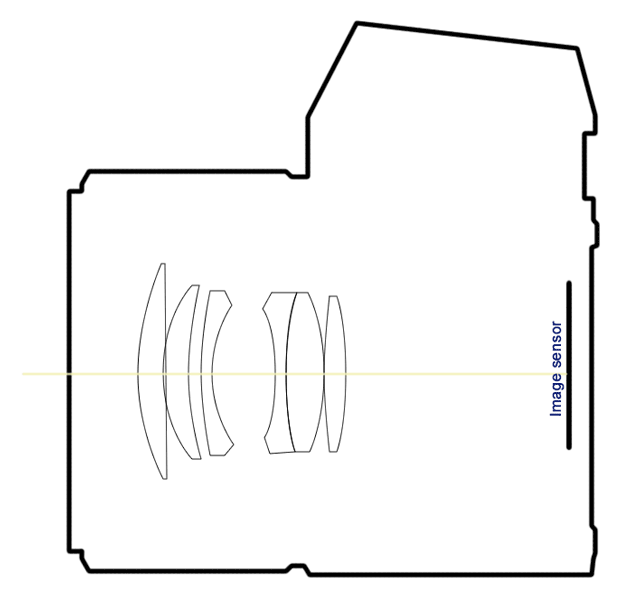 Front and back focus issues only affect DSLR and SLT cameras, and even then, they aren't particularly common problems. Any focus problem will be most visible when shooting with a shallow depth of field (at large apertures), so even if your camera has a front or back focus issue, you may not notice it, depending on the type of photography you do. Thankfully the majority of modern DSLRs / SLTs feature autofocus adjust. So if you do have a problem with front or back focusing, you just need to do a bit of testing and tweaking of the adjustment values, then your lens and camera will work perfectly together. First off, thanks for the really informative article. I however had one question. Say that both the image and AF sensor are correctly tuned up together, and the issue is as you say, that the lens is focusing slightly longer or shorter than the camera expects, how is it that the lens wont focus slightly longer or shorter when being used on a non-DSLR camera? It’s down the difference in how phase detection autofocus (used in DSLRs) and Contrast detection autofocus (used in mirrorless cameras) works. With phase detection, the camera relies more on the information supplied by the lens to move the focus to where the image should be in focus. It does this typically with one quick movement of the focusing group in the lens, making autofocus very fast. With contrast detection AF, the camera relies more on how sharp the image actually looks, and tends to rack the focus backwards and forwards until optimum focus is achieved. This is usually quite a bit slower than phase detect AF, especially with lenses that aren’t designed for contrast detect AF (i.e. many DSLR lenses). When I originally wrote this article very few (maybe none?) 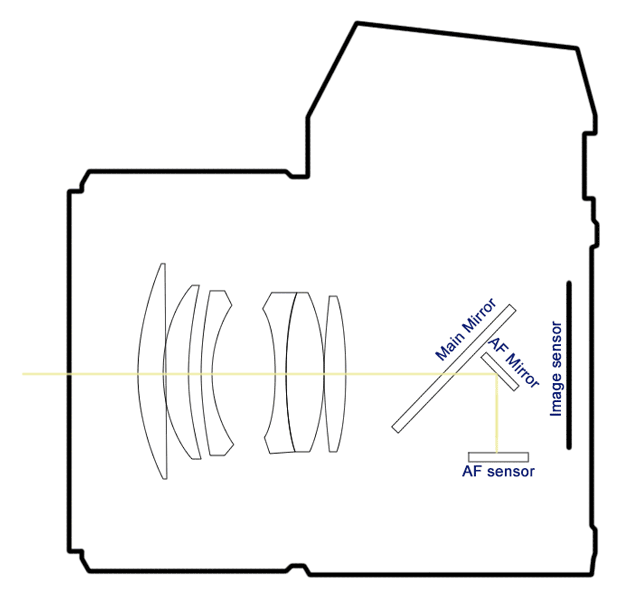 mirrorless cameras used phase detection autofocus. It is now much more common for mirrorless cameras to use phase detection AF, but it is done on the sensor. This eliminates the camera as a source of back / front focus issues compared to using a separate AF module as in a DSLR. However, it could leave them open to the problem you describe where a lens is miscalibrated. Thankfully, most mirrorless camera that have phase detection AF will use phase detect AF to focus then lens, then perform a contrast detect AF to quickly validate focus before taking the actual photo. So in this case, the final contrast detect AF stage will correct for any miscalibration of the lens. For more information, see this comment from Roger Cicala of LensRentals on how much the camera relies on the lens for phase detect AF: http://disq.us/p/13r385y (The article that comment is on is a good read on the subject of back and front focusing too).